Encompassing designs inspired by the many faiths and belief systems of the world, the spiritual jewelry here contains a wealth of unique metaphysical accessories. 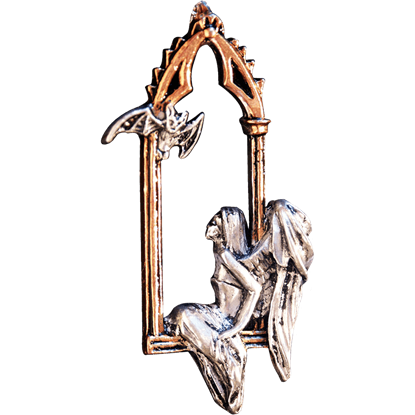 Our angel jewelry ranges from pieces that depict various archangels to wing jewelry to angel talismans meant for inspiration and comfort. Our gemstone amulets serve similar purposes, drawing from fantasy, mythology, astrology, and other fields. 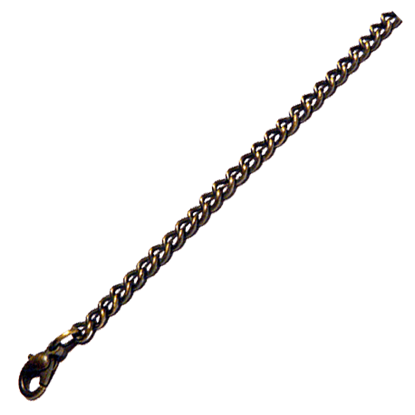 Additionally, we provide striking jewelry options displaying yin yangs, Egyptian glyphs, and other significant symbols. Peruse our spiritual jewelry to find pieces that match eye-catching looks with intricate meaning. Witness an angel resting with the Amara Arelia Dream Angel Necklace. 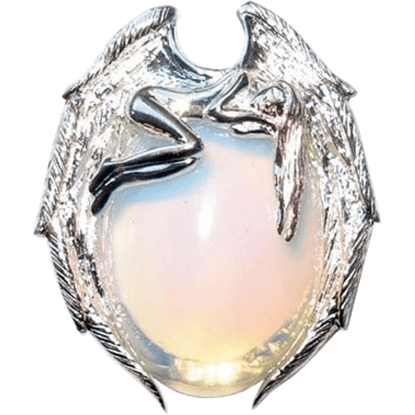 Deep in slumber Amara comfortably lays above a moonstone with her wings wrapped around it. Tread lightly as not to wake such a lovely creature from her tranquil state. 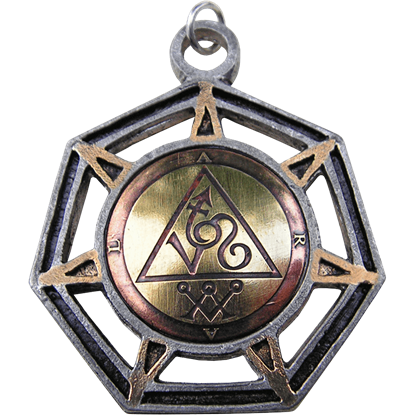 From ancient times to present, amulets and charms often center on relationships between people, romantic or otherwise. The Anael Angel of Venus Necklaceoffers a talisman based on the power of the archangel. 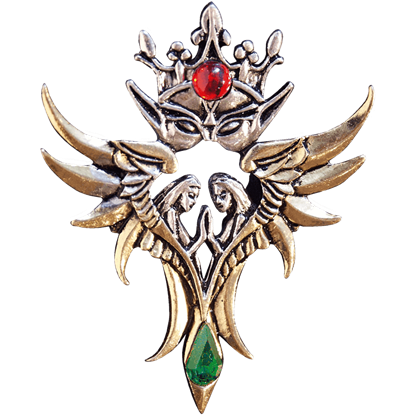 A fresh start and a new beginning are just what the Angel of New Hope Pendant represents with its charming design. 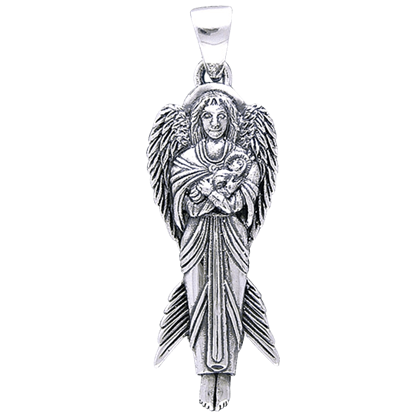 This meticulously crafted angel pendant depicts a lovely winged angel holding a swaddled infant in its arms. 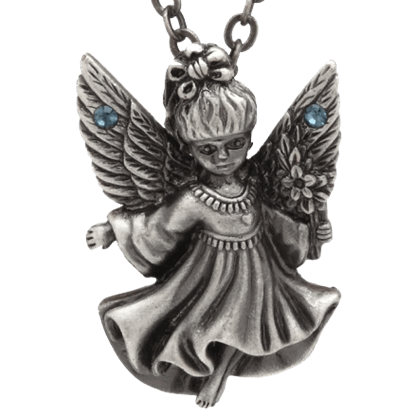 The Angel of Vision Necklace for Perspective can be a gentle reminder to slow down and enjoy the little things in life. This elegant angel patiently sits inside of a window and looks to the bat flying above her. With an elegance both dark and serene, the Angel Rose Cameo Necklace presents a beautiful illustration within its oval cameo center. Strikingly detailed, the scene depicts a fallen angel maiden at the bittersweet shifting of seasons. 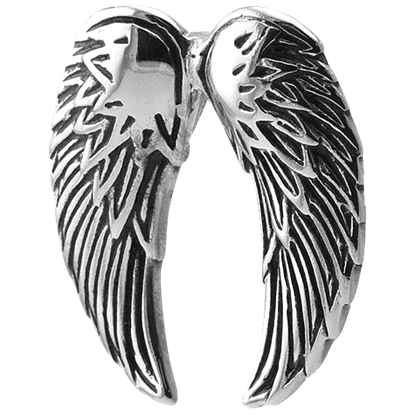 Keep your guardian angel close to your heart while you wear the Angel Wings Pendant! 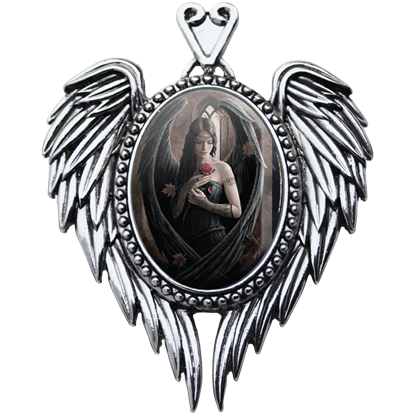 This religiously themed pendant will make you feel safe, knowing that your personal angelic protector is close to you at all times of the day! The Angels of Oberon Necklace for Love is a necklace that draws on elements that few have ever seen and even fewer understand. This dazzling pendant combines the ideals of love and ambition for you to keep at your side. The world is dark and scary, and some people need constant reassurance that there is some good out there. 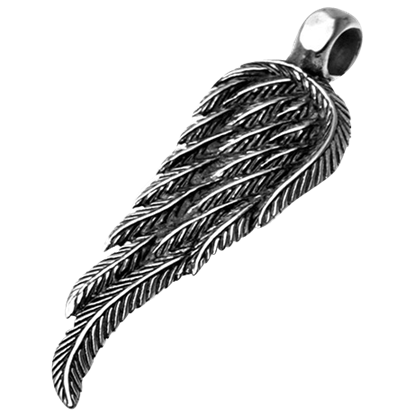 That is what the Antiqued Angel Wing Pendant is for, to remind people that there are angels out there helping others. The element of fire resonates with the dynamic traits of passion, enthusiasm, and anger, appearing as an influence in charms and amulets. 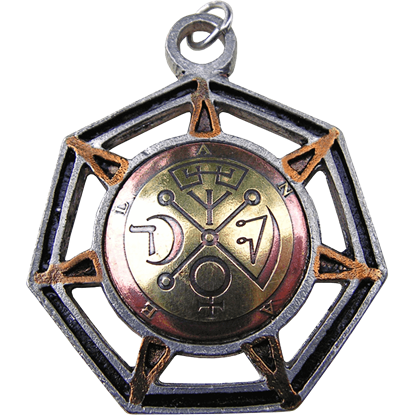 The Aral Angel of Fire Necklace offers a talisman based on the power of the angel. This exclusive Ashshaph Labradorite for Magickal Ability Necklace is a unique piece that is waiting for a unique owner. 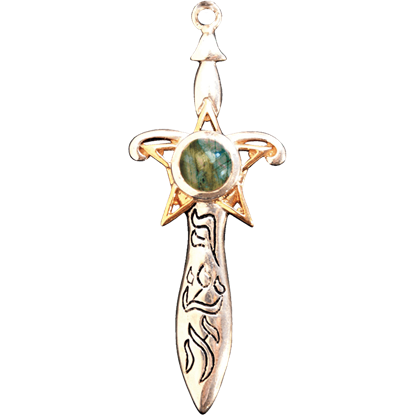 Set on the sword of Ashshaph this amulet offers you a rare and elegant accessory for daily wear. The Blue Angel Necklace is a perfect accessory for your everyday wear! This adorable necklace features an angel holding a bouquet of flowers, and she has a large flower in her hair. There is a blue gem at the top of each of her wings.